The Siamese Cat Breed Group consists of various oriental-type of cats that are typically medium in size and are elegant in appearance. • Siamese – The first and original Siamese cat breed. These are medium sized cats with short hairs and pointed. • Balinese – This is basically the long haired version of the short haired Siamese. These cats are also medium in size, pointed and differ from the Siamese by having semi-long haired coats. • Oriental or Oriental Short-hair – These cats are basically the non-pointed Siamese cats that are medium in size and have short coats. • Oriental Long hair or Mandarin or Javanese – These are essentially Siamese cats but with semi-longhair coats and non-pointed. • Foreign White Long-hair – This Siamese variant is essentially an Oriental Longhair or Javanese cat but comes in pure white colored coats that are semi-long in length. • Foreign White Short-hair – These are the Oriental Short hairs that comes in pure white colored coats that is short in length. • Seychellois Short-hair – These are the Siamese cats that are bi-colored. • Seychellois Long-hair – These are basically Balinese cats that are bi-colored. • Peterbald – Siamese-type cats that are completely hairless flocked or have wire-haired coats. All the cat breeds under the Siamese Breed Group can trace its ancestry to the ancient Eastern cats that is believed to have first appeared in the Kingdom of Siam, now modern day Thailand. Siamese cats are typically medium in size. Siamese cats come with short-haired coats that are short in length and long-haired coats that are semi-long haired and medium in length. Siamese cats have svelte or foreign body type. Siamese cats are easy to groom and will only require attention once every two weeks. Siamese cats are considered to be very vocal cats and known to be a very “talkative” bunch. Siamese cats have very high activity levels. These cats only needs 4 hours a day to have to themselves. This is maximum time, some lines of Siamese-types doesn’t mind having no personal time at all. Caring for the Siamese cat will require lots of attention and these cats can be quite a handful when it comes to handling. 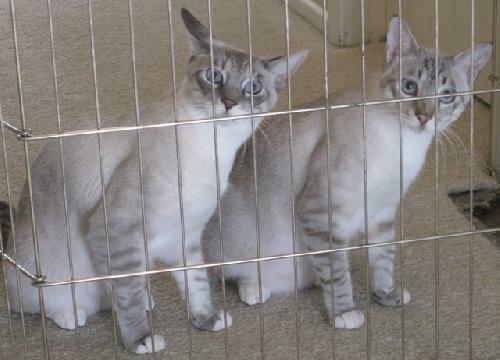 Governing Council of the Cat Fancy – Recognizes two separate of Siamese-groups. Cat Fancier’s Association – Recognizes the Balinese, Siamese, Havana and Oriental cat breeds as distinct and separate Siamese-type cats. The Siamese cat breed can trace it ancestry to 14th century Siam were cats of this type exclusively belonged to Siamese Royalty. This Thai breed domestic cat first arrived in Europe and the United States during the late 1800’s. The Balinese cat breed originates from the United States and is believed to have been in existence since the early 1920’s. The cat’s Balinese name does not refer to Bali, Indonesia. It pertains to the beautiful and very graceful traditional Bali dancers from the Kingdom of Siam, now known as Thailand. The Bali dancers exemplify the Balinese cats naturally gracefulness and beauty, hence the Balinese name. The modern Oriental Short-hair originates from Great Britain and was first developed between the 1950’s and the 1960’s. The modern Oriental Longhair was initially developed in the United States during the 1970’s. Oriental Longhair is a hybrid of Siamese ancestry. They were developed from the Oriental Short-hair that was crossed with the Abyssinian Cats and American Short-hairs. The first breeding development program of this breed happened during the 1970’s in the United States. The Foreign White Short-hairs and Longhairs or simply Foreign White cats can trace its origins from the first and original Oriental cat breed that was developed in the 1950’s in Great Britain. British breeders crossed the Siamese cats with their local domestic short-hairs and some lines of the Russian Blue. A decade later, the breeders in North America followed suit, using their own local domestic short-hairs in the hybridization and replaced the Russian Blue stock with lines of the Abyssinian cats. The Seychellois Short-hair and Longhair was first developed in the 1980’s in the United Kingdom. Cat breeder Pat Turner was the first serious developer and is now credited to be the creator of the modern day Oriental Bicolour. This cat breed’s name was only recognized to the present day Seychellois 2005. The Peterbald cat breed was directly bred from the Don Sphynx and shares the bald cat breed’s early history up until the year 1993. This is the time that the Peterbald was first developed. While the Don Sphynx was being developed and exhibited during the early 1990’s, various European cat breeders experimented with the bald cat’s genetic make-up to answer the question about the breed’s health. This genetic research done with the Don Sphynx eventually became the initial breeding development of the Peterbald. The first cross of the Don Sphynx was with an oriental shorthair, producing litters that led to the development and also served as the Peterbald’s foundation stock. As the first of its kind, the Siamese cats are the first versions of all Siamese or Oriental-type Cats under this group. Siamese traits of having a strong personality, liveliness and very talkative by nature have been inherited by all Siamese or Oriental-type of cats. Balinese cats are famous for being extremely fond of human interaction and companionship. This is a breed known to be very vocal and they will be “talkative” for no apparent reason at all. Compared to their Siamese ancestors, these cats will vocalize at a lower volume. These are very tolerant cats that will rarely show physical aggression when they get irritated. They will express their irritation through various vocalizations from moaning, growling and even hissing! The Balinese cat breed is also famous for their acrobatic skills, displaying their athleticism during play! This breed is also considered to be the most intelligent cat breed among all other long-haired cats. The Oriental Short-hairs are full of enthusiasm and packed with high energy. These cats can quickly change moods; it is in their nature to do so as short-haired Orientals are a curious bunch. Don’t be surprised to see these cats acting haughtily like royalty, and then quickly changing into a more zesty type of cat that is full of curiosity. Some consider these cats as “diva” like, behaving like the world revolves around them. They require more attention as these cats crave human companion. Overall these cats are very loving, affectionate and very intelligent cats will be depended on their chosen human owners. The Oriental Longhairs are more independent and tolerant. These Orientals are an active lot that will be playful even without the help of their human owners. They are nimble jumpers, displaying dexterity and elegant control. 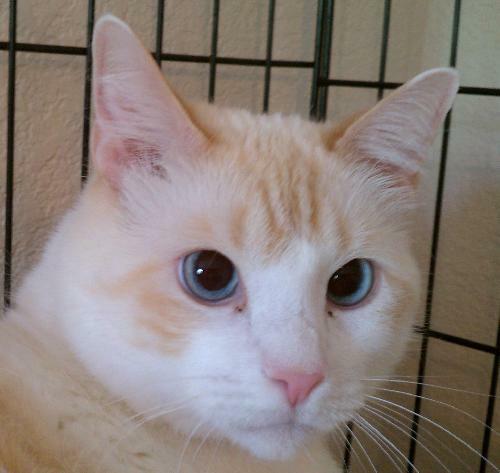 Overall, these cats are ideal feline companions that will be loyal, highly intelligent and affectionate. The Foreign Whites are full of fervor and crammed with liveliness. These cats are known to easily change their moods; much like their ancestors the modern Oriental cats. These cats will behave arrogantly one second then quickly changing into a more stimulating type of cat that is full of inquisitiveness. 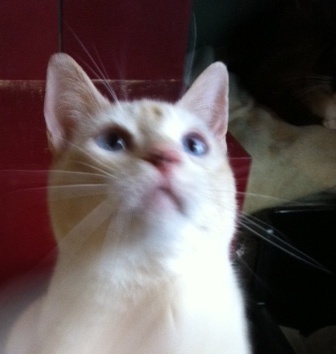 These Siamese-type cats are known to be energetic, demonstrative, somewhat of a scatter-brained and really demanding. There are many ways to describe the Peterbald’s temperament, sweet-tempered, peaceful, aggressively showy when it comes to affection, and naturally sociable as these cats are known to welcome visitors, may they be humans, other cats or even dogs. These are also highly energetic cats that are athletic and will often amuse with its very playful antics. Very curious, pretty smart and highly intelligent, the Peterbald is also known to be very vocal domestic felines. So vocal that this breed is known to talk back if their owners talk to them! Siamese cats are generally svelte type in body, elegant in appearance and movement, with long tapering lines, supple and well muscled. All Siamese cats are Medium-sized cats that can have short or semi-longhaired coats and also be pointed or non-pointed cats. Siamese cats have medium-sized bodies that are long but graceful. The cat breed’s shoulders and hips compliments the sleekness of its tubular shaped body and the graceful appearance extends to the cat’s long and slender neck. Siamese cats can be pointed or non-pointed heads that are generally long and tapering. These cats have very large and pointed pair of ears that are wide at the base area. These cats have medium sized eyes that are almond shaped. Their eyes are slanted towards their nasal region and should be proportion with the lines of their wedge or apple shaped head and their ears. These cats have eyes that come in a deep and vivid shade of blue. The Siamese cat’s tail is graceful in appearance with a long bone structure that is thin and tapering to a very fine point. Coats may be short-haired or semi-long-haired, both coat length are fine and silky to the touch. Siamese-type cats that have wedge-shaped heads will be prone to various dental related problems and respiratory health issues. These cats are also known to be born with crossed-eyes or kinked tails. This domestic cat breed may also have health problems that may affect bladder stones, eyesight, heart diseases and various types of cancers.